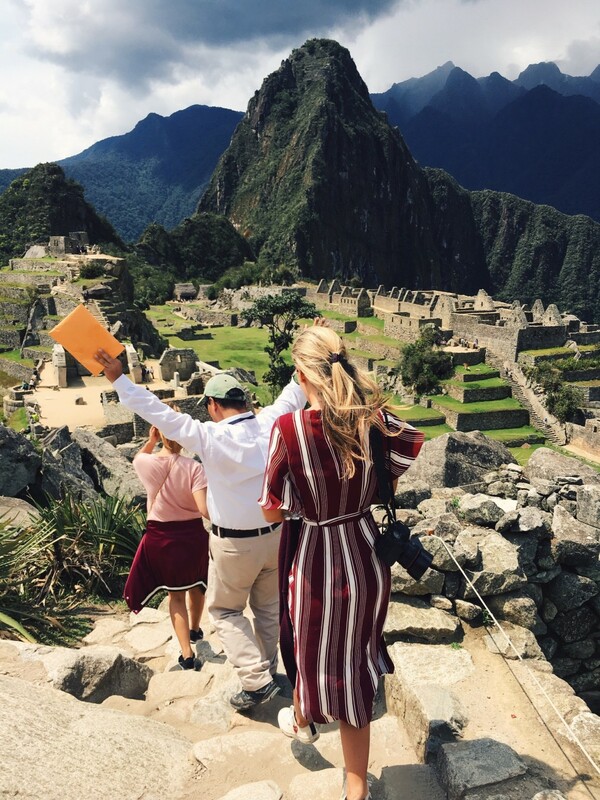 I have been wanting to visit South America for as long as I can remember so I am sure you can imagine my excitement when I added Peru to my travel itinerary, and what a perfect first visit it has been. 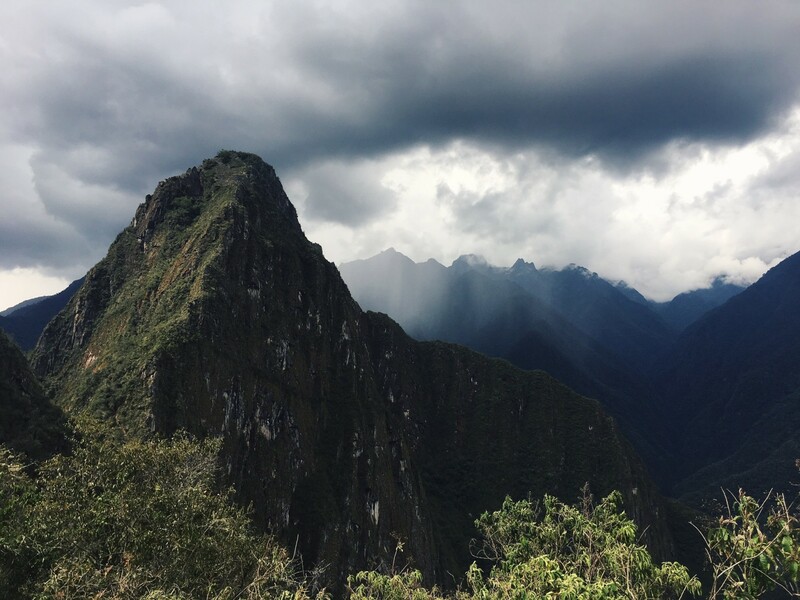 The last seven days have been a whirlwind, combined with the high altitudes of Cusco and Machu Picchu it has felt like I have been on cloud nine the entire week…. I arrived in Lima at night. There is nothing I love more than touching down into the hustle and bustle of a foreign country, my senses immersed in new smells, sights and sounds. It almost felt as if I were somewhere in Asia, the streets were covered in people, even late at night, and the traffic bumper to bumper. I spent the first night in with all of my favorite people from my “Revolve family”- every trip I have with Revolve really does feel like I’m on a holiday with my best friends and family. 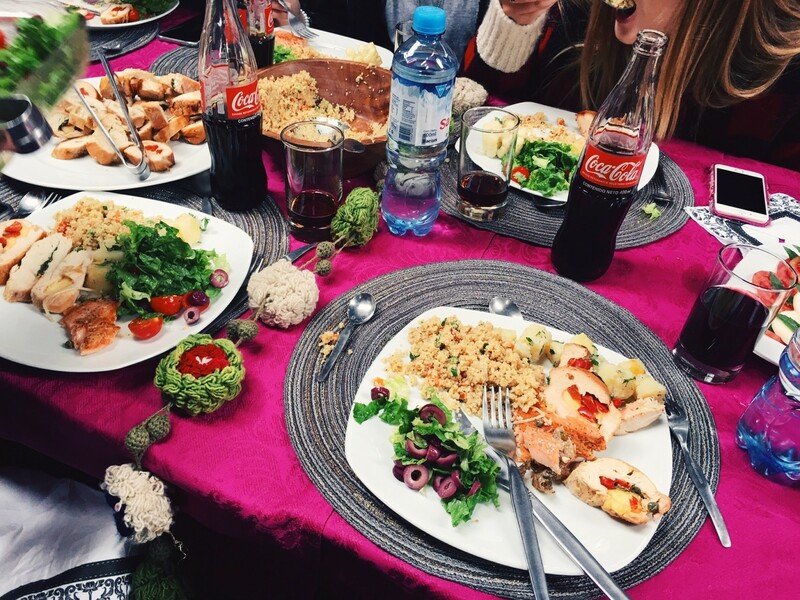 When I thought of going to Lima, I didn’t really know what to expect, but on my first day I was able to confirm three things, the food is AMAZING, the people are so friendly and welcoming and the city itself is filled with places to explore. After a day of welcome lunches and shopping in Peruvian markets it was time to get ready for the Mario Testino Mate Gala. The event thrown by Testino, a world renowned photographer who was actually born in Peru, was a once in a lifetime experience, one of those things that you feel lucky to be at every minute of the night. I wore a stunning floor length gown from Revolve and was covered in diamonds from Peruvian jewelry designer Murguia. The next morning we were back on a plane, leaving Lima behind to head to Cusco. 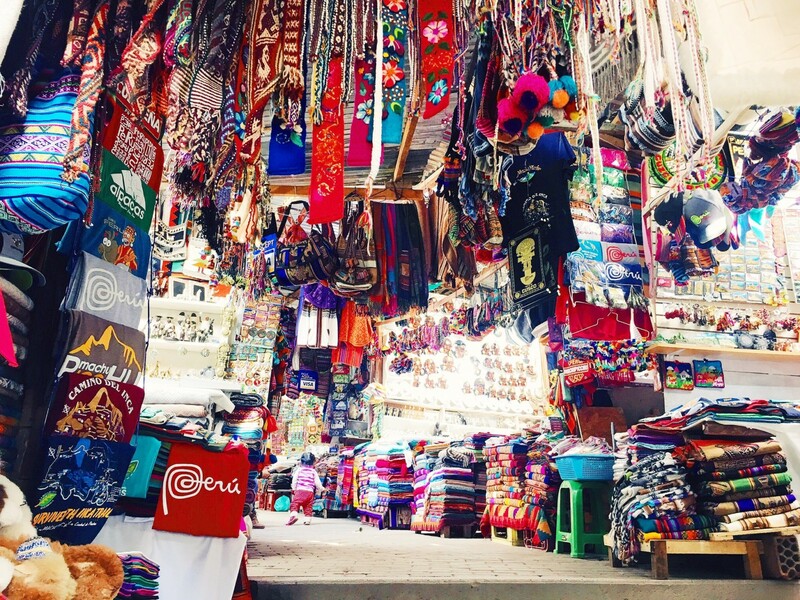 The little town of Cusco is situated within the Peruvian mountain ranges, 2,900 m above sea level. We received several warnings about altitude sickness and were a little nervous to touch down but luckily we only experienced a slight change in our energy levels. To only focus on the height of Cusco would be a great shame, the town is so beautiful and has so much character. 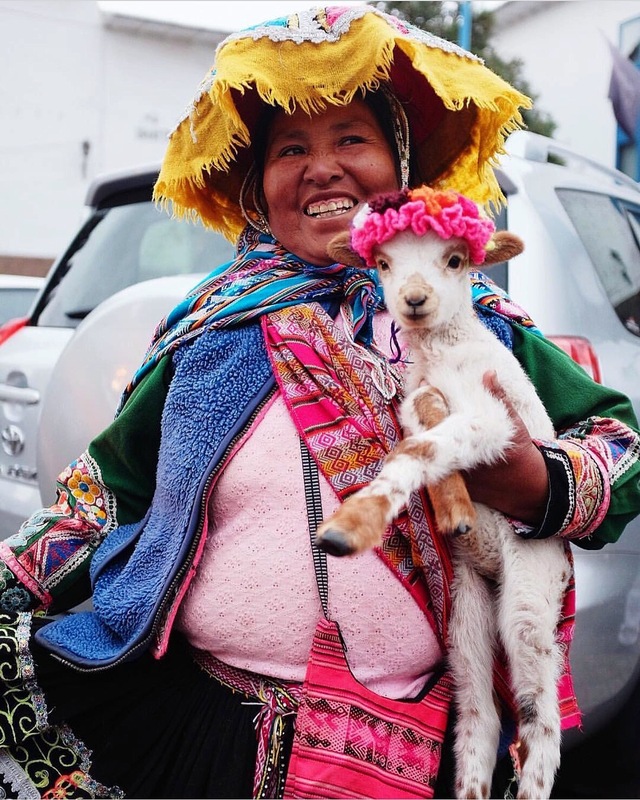 Walking around the cobble stone streets you come across women dressed in traditional Peruvian clothing, llama’s, baby goats and plenty of colorful markets and shops. 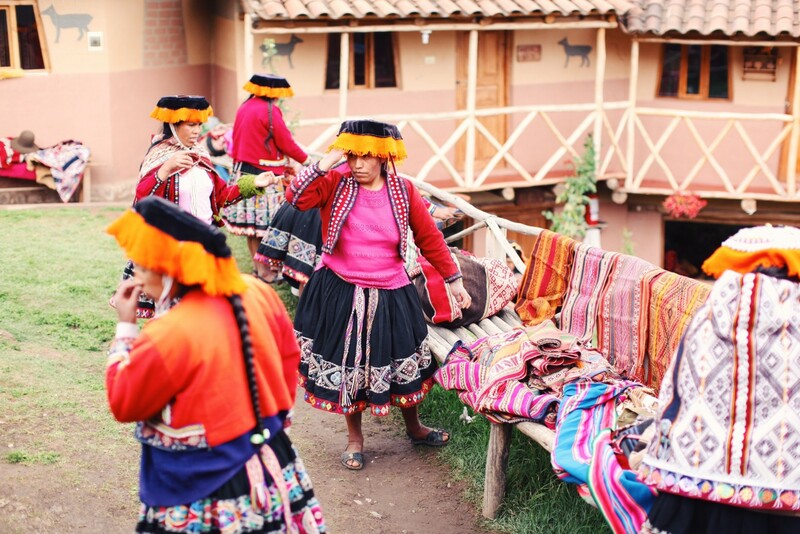 An interesting fact about the Women’s skirts, which are called Pollera, is that each community has different embroidery and patterns which you can recognize them by. It’s interesting because in certain communities you can tell whether a girl is single or married by the pattern on her skirt. 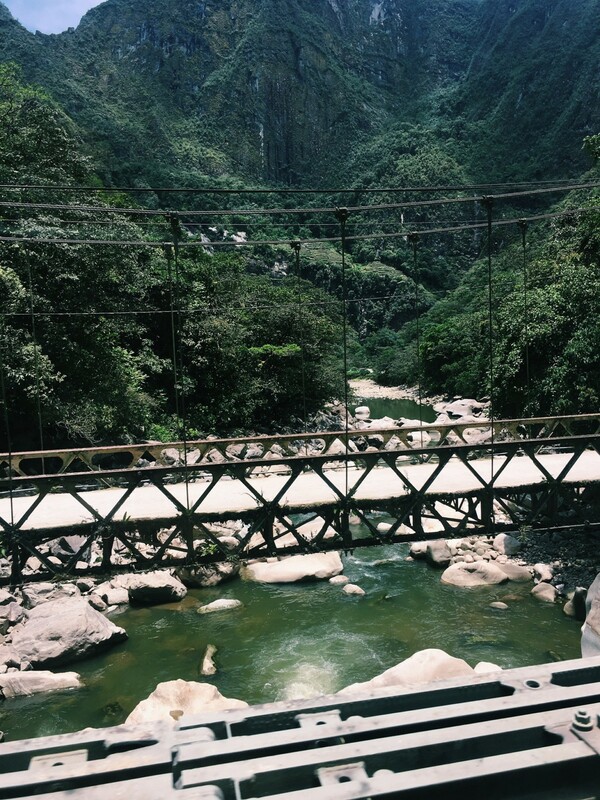 Our next adventure was one of my favorites, a truly unforgettable experience. 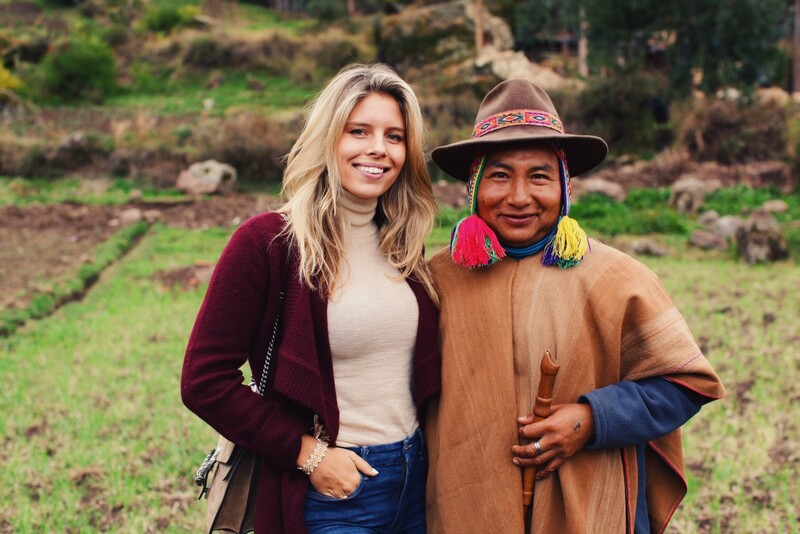 One of our kind hosts here in Peru has a local brand called Ayni, and they have a unique story that makes this chic contemporary brand all the more beautiful, a rare point of difference in this day and age. 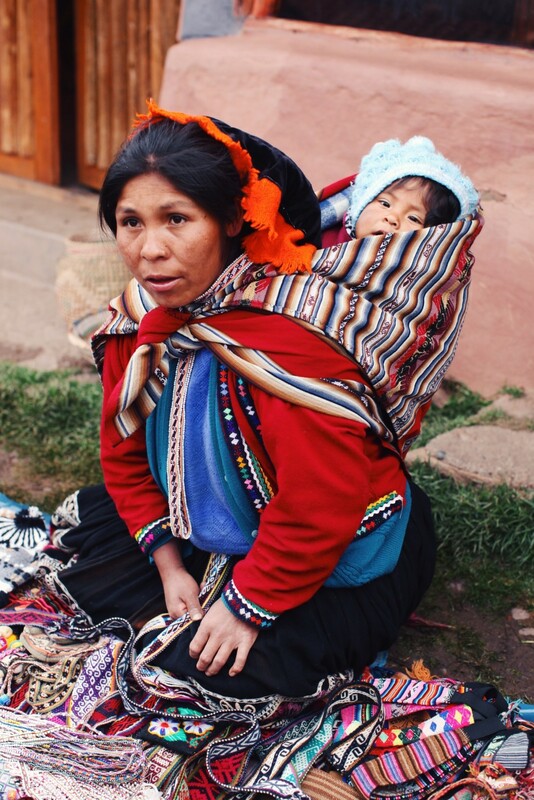 Ayni’s collections are made only from local materials such as Alpaca wool and Pima cotton- a special cotton that only grows in North Peru especially known for its softness. But what I admire most about the brand, which was started by two female entrepreneurs is that their products are made by local communities, their aim is to empower women, create job opportunities for the vulnerable population and most importantly protect cultural heritage. It is rare to find a brand that perseveres through the challenges of educating and training workers, quality control issues and general informalities in order to keep their production local and to benefit their local communities. Their admirable business model and values is something I wish to see in more companies around the world. 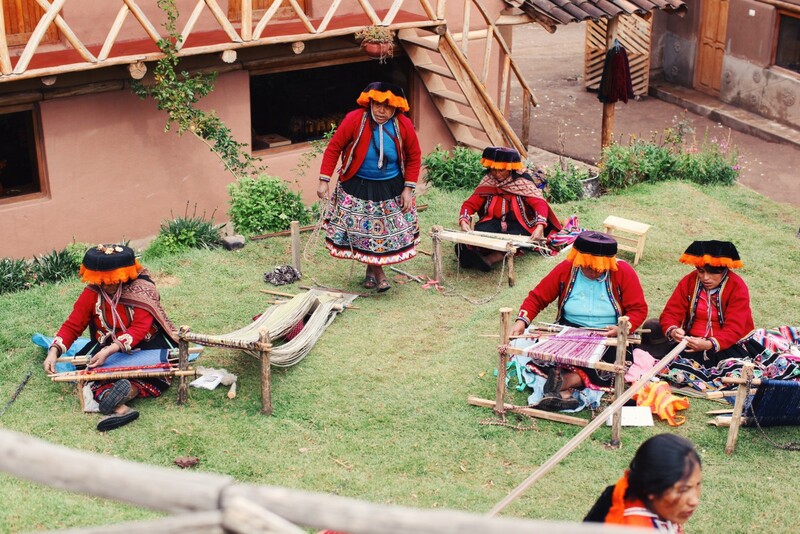 Next we were lucky to visit a very special community an hour and a half from Cusco, one of Ayni’s suppliers. 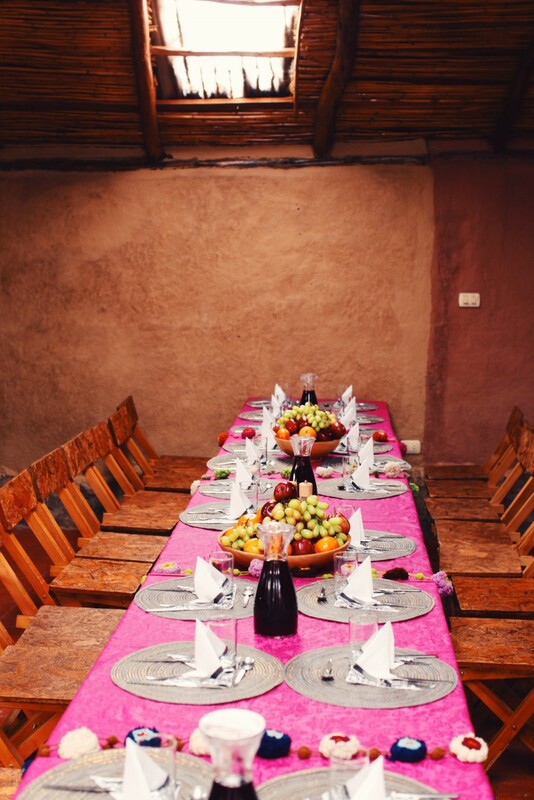 We were welcomed warmly with a traditional family style lunch, demonstrations of their weaving techniques and a very special ceremony with a shaman. The locals believe they are connected with the land and that things such as the sun rising are “magic”- it is such a beautiful way to look at the world. I admire their way of living in which they care about the most important things in life, family, friends and their culture and traditions. 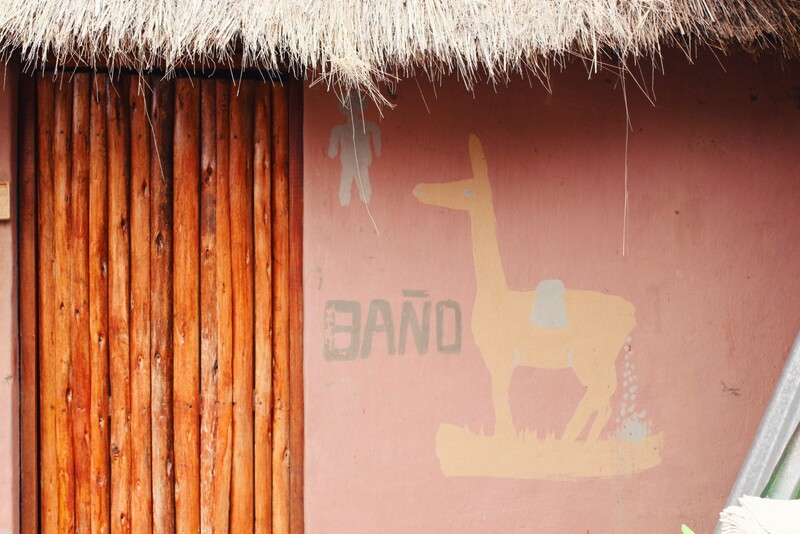 We enjoyed our time in the little village so much that we spent the whole day there until sunset. Sunrise marked a new day of wonder as we boarded the train to head to Machu Picchu, one of the places we were naturally most excited to visit in Peru. The 3 hour train ride through the valleys of the mountains flew by as the scenery became more and more beautiful around every bend. 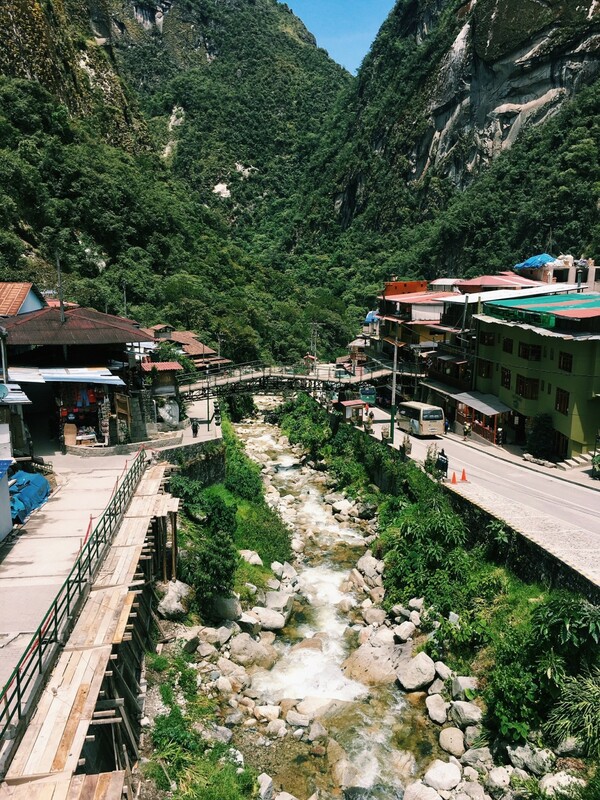 Arriving at the Aguas Calientes, the town situated at the base of the mountain, which is split in half by a large waterfall, was just the beginning of the excitement. We boarded the buses to head up the mountain, we chose not to hike this time as we were a large group and heard there was more than enough to explore and hike once you get to the top. 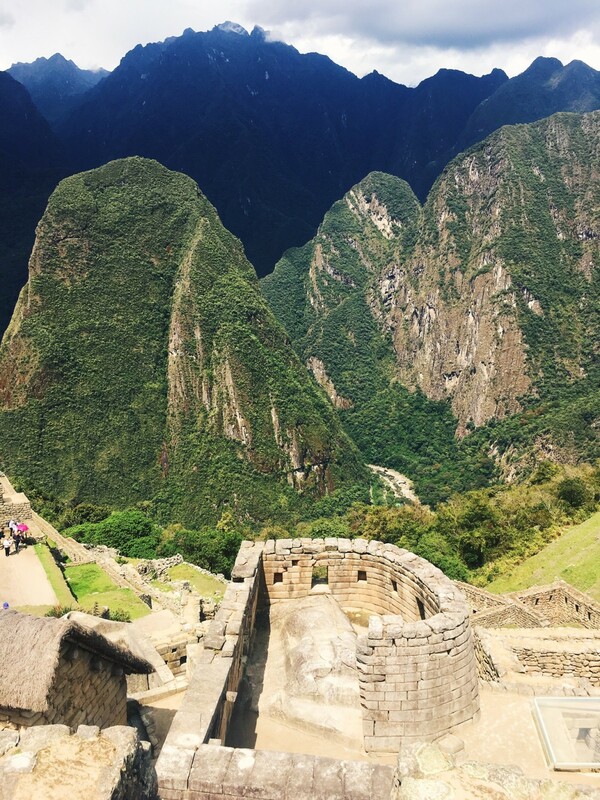 As we walked into the Machu Picchu site my breath was taken away, partly by the altitude as we climbed the stairs, but mostly by the astonishing 360 degree views of the ancient ruins and gorgeous mountains. 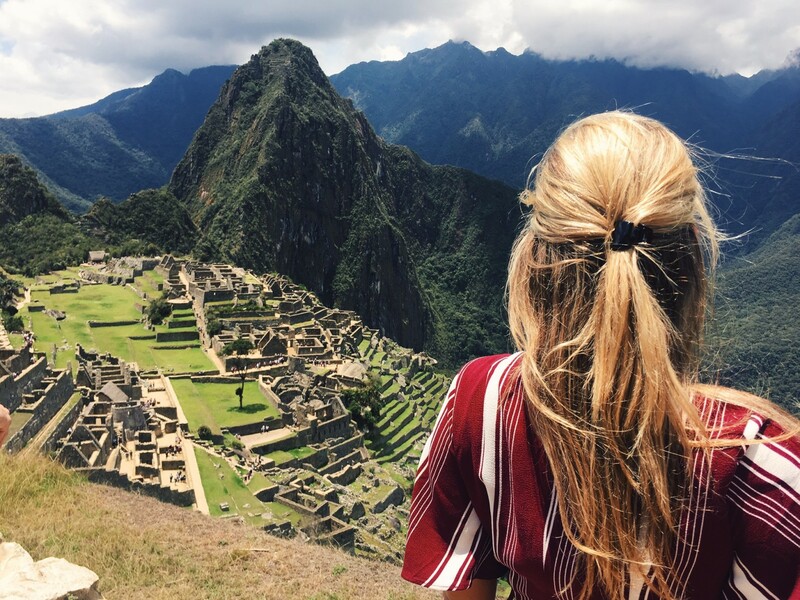 Machu Picchu is something that cannot be felt or experienced by seeing a photograph, as beautiful as it looks, it’s something that you need to see with your own eyes to fully appreciate. In a way, travelling isn’t just about discovering or exploring a new place, it’s discovering things about yourself you never knew existed and learning from the people you meet and things you see along the way. You have to learn to embrace every moment, every culture and every belief. 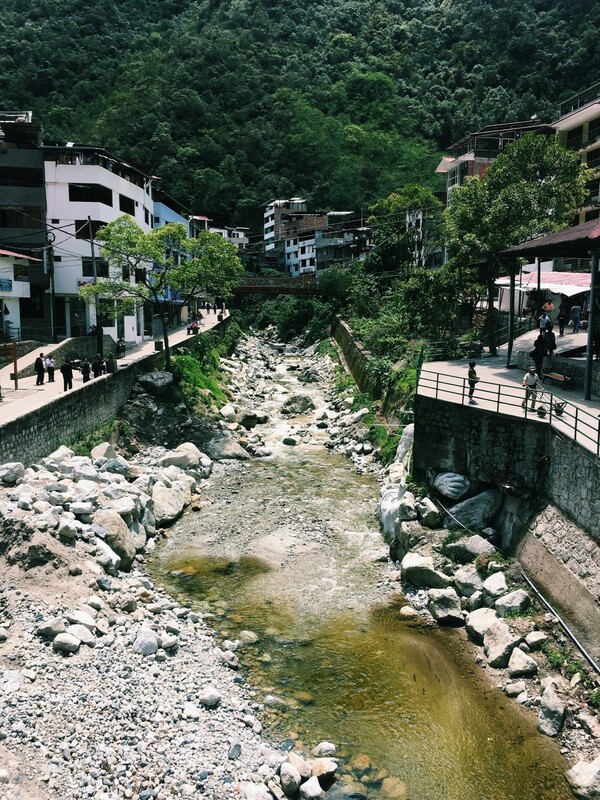 Peru was such a special place. It has soul – something that is rare to come by in most tourist destinations these days. 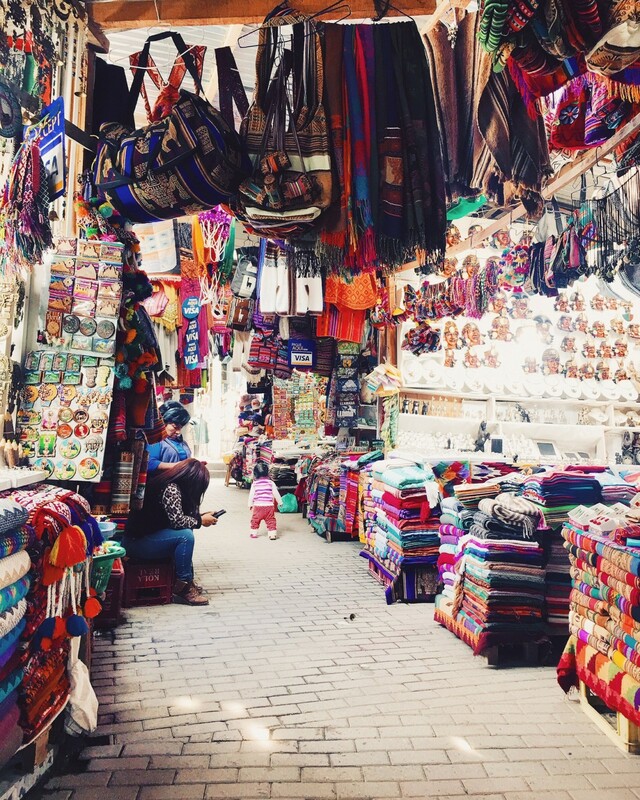 There was a vibrancy about Peru that I just can’t put my finger on, but it left me intrigued and counting the days until I return. And you look absolutely stunning in that Revolve dress. Sounds like a wonderful and inspiring trip. Love that you actually write a lot and I read all of it! And your pictures are always amazing! 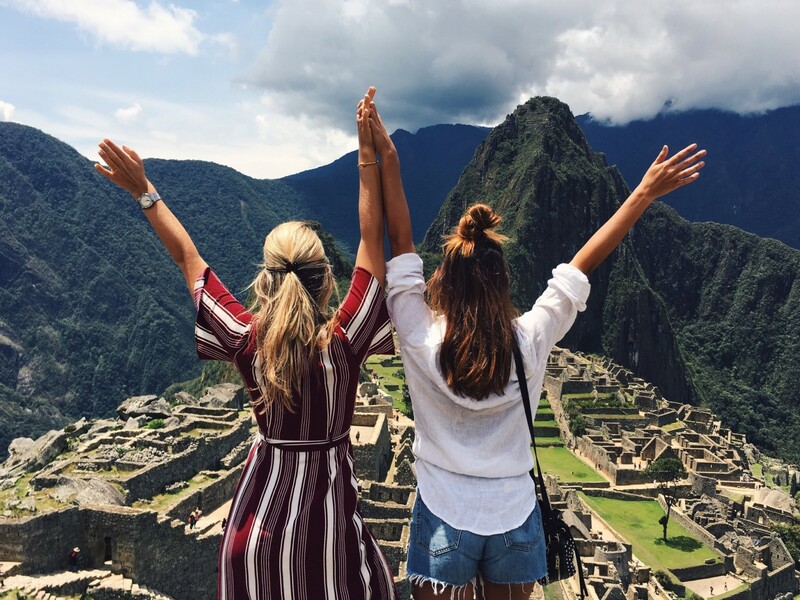 Tash, I’m peruvian and I love that you really like Perú, is such an amazing country And we have many magical places that you should go too. I hope that you can return soon. I admire you. And also love this post! 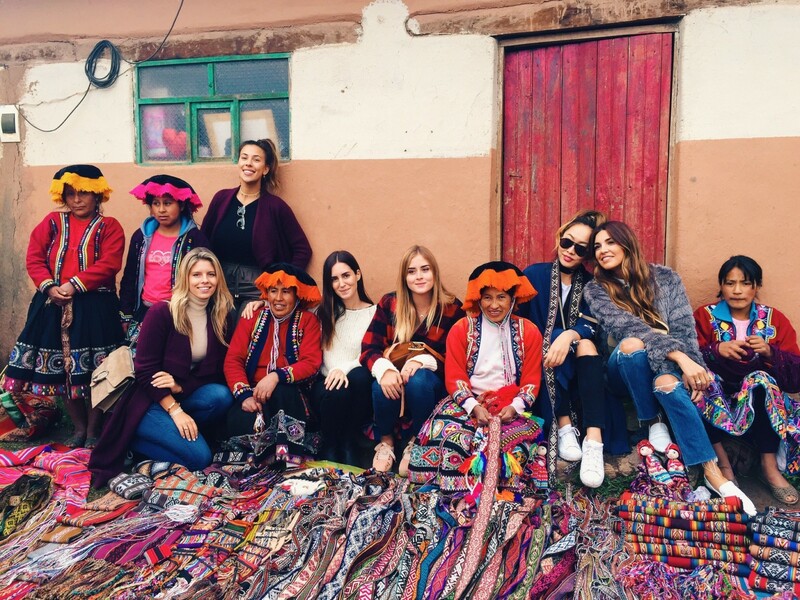 Thank you Natasha for sharing your experience from the trip to Peru. It was truly a pleasure to host you and the rest of the REVOLVE team and I have enjoyed reading about your impression of the trip. You were radiant in the AYNI garments and we felt your sensibility and interest in the brand and people behind. 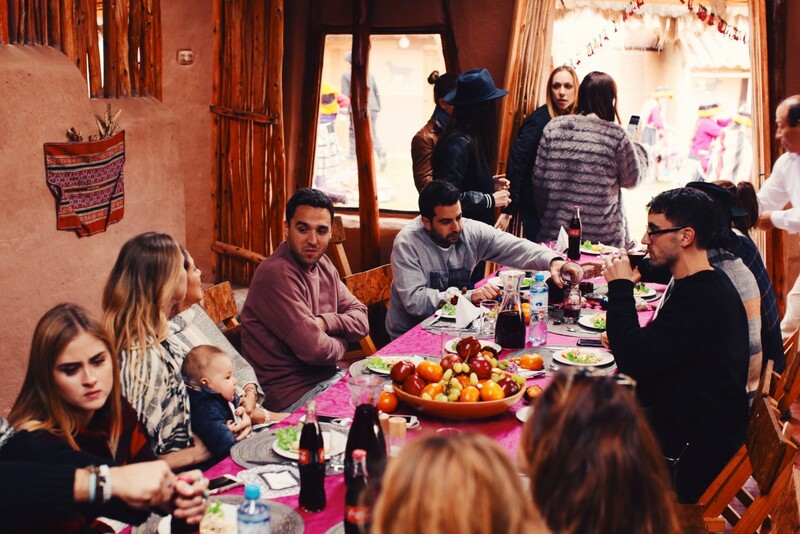 It is clear that you are a great observer and that you captured the essence of the Peruvian culture, colours and contrasts and we are proud to consider you part of the AYNI family. This looks like a dream! Must have been an amazing experience for you. Love all your looks, babe! 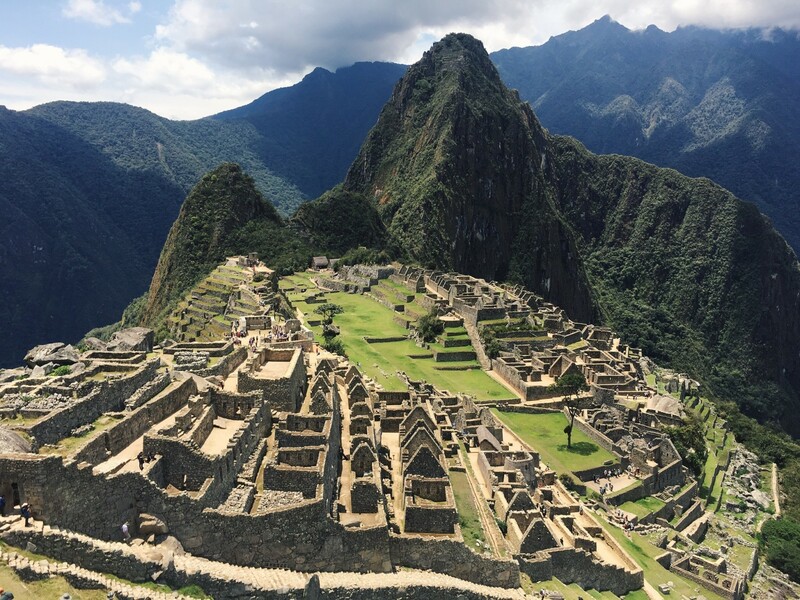 Oh, this is one of My dreams to explore the wonders of Peru! I am truly enjoying following you. You att a truly inspiration both in health, heart & lifestyle. WOW, cannot envision a more perfect trip. & Mario Testino?! Incredible. Love how in depth you went on this post Tash! Tash I am such a big fan of yours. Of both of you actually. Inspiration for everyone to follow their dreams.